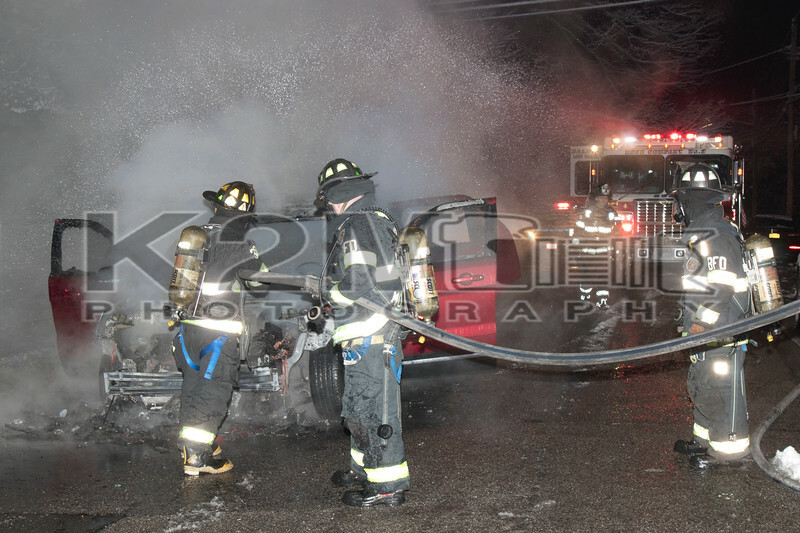 The Baldwin Fire Department was dispatched to a car fire at the intersection of Stowe Place and Kenneth Avenue in the early morning hours of Sunday, December 10th, 2017. When firefighters arrived on scene they were met with a working car fire in the street on Stowe Place. Baldwin Engine 203 stretched and put one line into operation and later a line was put into operation off Baldwin Engine 2033. All fire department units were under the command of Baldwin Chief of Department Frank Cesare . Click here to see the rest of the images from K2M Photography’s gallery, Stowe Avenue [12-10-17].